A bridge in Moraga has been closed indefinitely after engineers determined it had sustained structural damage from a recent landslide and was in danger of collapsing, police said today. 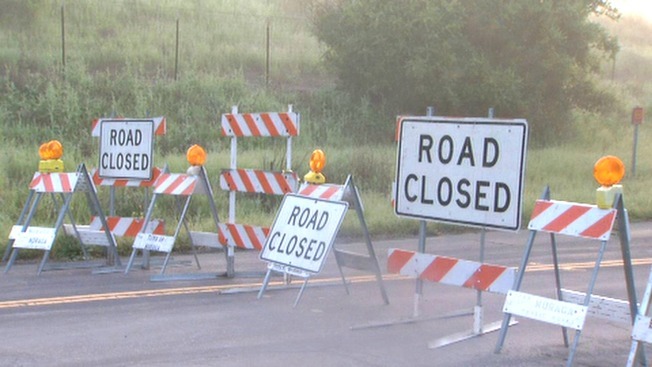 The Canyon Road Bridge, which connects Moraga with the community of Canyon as well as the Redwood Canyon area, closed this evening at 7 p.m. for an indefinite period of time, according to police. The bridge is located on Canyon Road between Constance Place in Moraga and the East Bay Municipal Utilities District Valle Vista Staging area. The area will be closed for all traffic, including vehicle, bicycle and pedestrian. Commuters who travel between Moraga and Oakland may be affected, police said. On Wednesday, police said that damage to the bridge has forced officials to also indefinitely Canyon Road between Constance Place and Pinehurst Road. After a recent landslide and earth movement, geotechnical engineers and structural engineers evaluated the bridge and determined that it sustained structural damage and is in danger of collapsing, prompting them to recommend the closure. City officials are coordinating with the Moraga-Orinda Fire District and other agencies to finalize how to respond to emergency situations in Canyon. The city will continue to monitor situation, according to police.